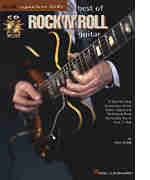 This book/CD set teaches 101 rhythm guitar runs played to 21 popular traditional songs. Included in the collection are up-tempo songs ("Cotton-Eyed Joe"), waltzes ("Knoxville Girl"), minor-key songs ("The Wayfaring Stranger"), train songs ("New River Train"), gospel standards ("Amazing Grace"), blues ("Corrine, Corrina"), and more. You need only minimal playing skills and three chords--G, C, and D7--to accompany all the great songs in this innovative book. If you are just getting started, or if you are a 'casual' player on a chording instrument, this is the perfect book for you. This book for intermediate-level guitarists is a follow-up to Kenny's Introduction to Acoustic Blues. It covers blues in five different keys and positions, and incorporates slide or bottleneck playing in both open and standard tunings. All songs are primarily fingerstyle with a monotone bass used for most. A pocket reference for constructing and playing guitar chords anywhere on the fingerboard. Includes: building chords of all qualities - over 30 types; terminology and intervals; moving chord shapes; sample songs and progressions; open, barre, power, and extended chords; inversions; and more. ]Unlock the secrets of playing and composing in alternate tunings with this unique, comprehensive book/CD pack! Includes an introduction to alternate tunings and the players who have pioneered them (including tips from David Wilcox, David Crosby, Alex de Grassi, Duncan Sheik and more). Designed to help both the beginning and intermediate guitarist learn the most commonly used chords. Through split-screen viewing, the student learns how the chords are fingered and how they should sound. This course is designed for the beginning guitarist who already understands and uses chords in first position. The student will learn many standard chord changes used in thousands of folk, country, blues and rock songs, and in the development of faster chord changing. Booklet included. Detailed step-by-step lessons for 10 songs, slow & fast versions of each, strumming & picking patterns, all words & chords, plus each song written out in tab as well as standard music notation. This book introduces simplified techniques of chording and fingerpicking for both smaller and larger hands and presents dozens of songs in the Ionian, Aeolian, and Mixolydian modes. Directional arrows are shown for correct strumming, along with lyrics and chords for guitar or banjo accompaniment. In this video, John teaches you how to connect all the chords with fun-to-play "bass runs". He also teaches advanced strums, fingerstyle accompaniments, "Merle Travis" style picking, and country and folk melody picking. When you finish this video you will be able to accompany most types of songs. This video teaches you how to hold and tune your guitar and shows chords used in the keys of D, A, G, and C. In addition, basic strums and accompaniment flatpicking styles are taught in 4/4 and 3/4 time. Finally, you will learn bass runs, beginning melody flatpicking, and a series of songs. This DVD is designed for the beginner to intermediate level player. A full range of DVD special features have been integrated with video special effects to create the most powerful learning system yet produced by Specialty Music Productions. With your DVD remote control, you're ready to take full advantage of the interactive menus, scene selections, and other easy-to-use features that are there at your fingertips. See how fun and easy it is to learn to play your mandolin in front of your own TV. Download now from PlayBetterBluegrass.com! Flatpicking master teacher Steve Kaufman takes rhythm playing to a whole new level with this in-depth lesson. He covers chord substitutions, walking bass lines, complex chord shapes, and accompaniment ideas for a variety of tunes. Contains diatonic, cross harp, and chromatic stylings on 48 country/ bluegrass favorites. The accompaniment CD has 18 of the songs recorded on the beginning tracks with the harmonica, and again without the harmonica included. Shown in standard notation with lyrics, guitar chords & harmonica tab. Joe teaches you how to get the best possible sound from your guitar and how to play the solid rhythm and great bluegrass licks and bass runs used by all of the famous professional artists. When you finish this video you will have the skills to play all the chords, licks, and runs on almost all of the famous records.